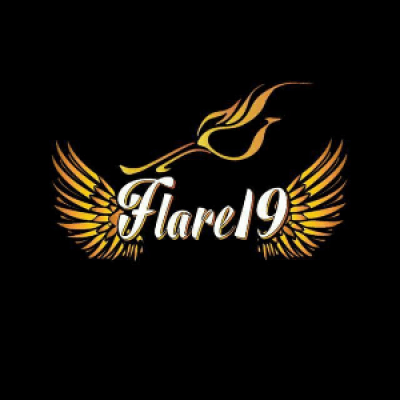 Pandit Deendayal Petroleum University will be celebrating it's 10th Annual Cultural Fest FLARE from 11th to 14th April, 2019. With time, FLARE has grown as the much anticipated festival in and outside the state. 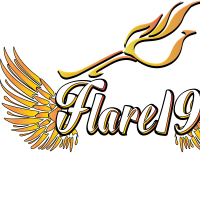 FLARE comprises of various events in the areas of Dance, Dramatics, Music, Fine Arts, Literature, and much more. The flagship events in FLARE like Amethyst, Ablaze , At-Mosh-Sphere , Melodia and N-zest have gained much attention among the youth because of opportunities provided to the winners which help them excel in their field and develop further. This time FLARE is back with new events and exuberant experiences. 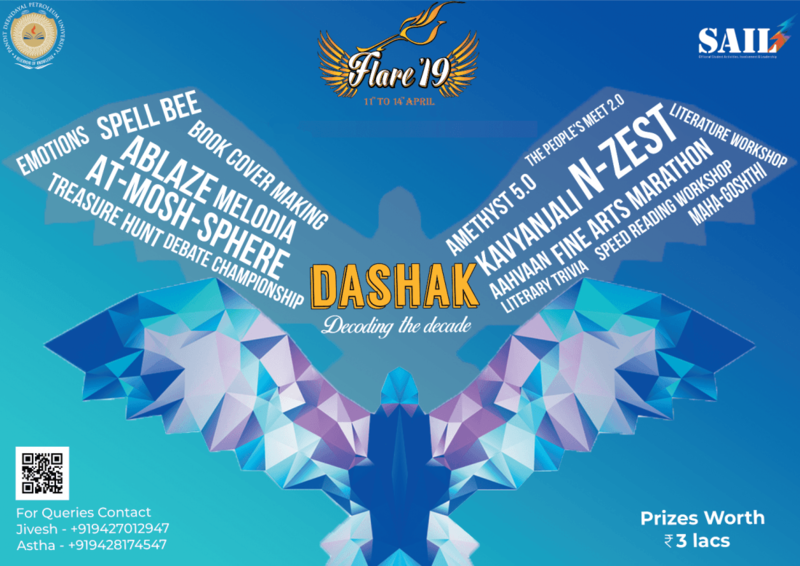 With the theme " DASHAK - Decoding The Decade " , FLARE celebrates the 10 years of its glory. FLARE has something to offer to everybody. With variety and surfeit of events, Flare! is ready to provide you with amazing experience and memories. Amethyst is a way of saying who you are without having to speak. Amethyst 5.0 , a flagship event of Flare, invites models across colleges to showcase their styles and make heads turn with their ramp walk. Melodia is a competition where participants bring out their inner Beethoven and showcase their singing and instrumental talent getting a chance to win exciting prizes. N-zest: A competition that gives you a chance to showcase your dance moves and grooves! You can choose to participate from various categories ranging from solo performances and duets to western and classical dance styles. At-mosh-sphere - The battle of bands offers you a chance to live the experience to perform as a part of the band and singing in front of a live audience. Ablaze is a national level group dance competition where diverse dance forms come together. Regional dance styles such as Bhangra and Garba amalgamate with Hip Hop and Belly dancing to make for a glamourous night. This year Flare! is going to be bigger and better than ever. NOTE : ** " ALL EVENTS ARE FOR CURRENT COLLEGE YEAR STUDENTS WITH VALID COLLEGE ID CARD IRRESPECTIVE OF THEIR ACADEMIC YEAR AND BRANCH & NO REFUND WILL BE PROVIDED IN ANY CASE " **. Salsa and Ballroom now at SBR.